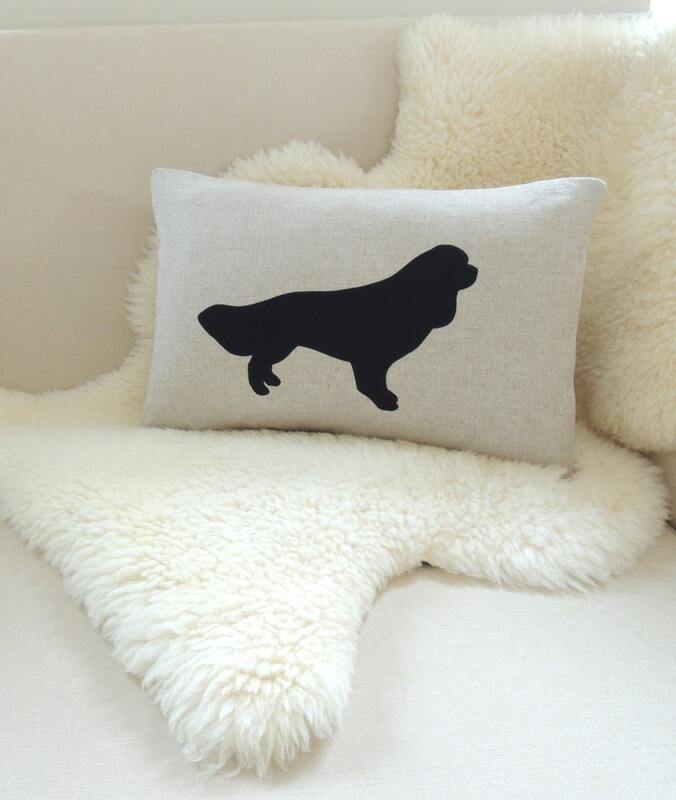 This Cavalier King Charles Spaniel appliqué pillow cover celebrates your devoted pup and adds a stylish accent to your interior space in flax beige linen and classic black. This dapper pup looks fetching on a sofa, in a chair, propped on a bed, greeting guests on an entryway bench or anywhere else you can imagine. A facing pair makes a striking statement placed at the ends of a sofa or sitting pretty individually in a pair of chairs. Choose the Cavie silhouette to coordinate with your decor in black, navy blue, dark charcoal gray, gray, orange, ivory or white. 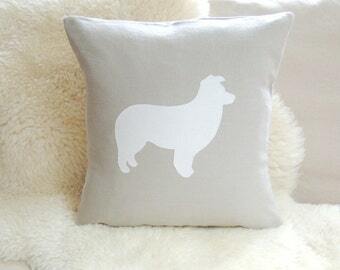 Cavalier King Charles Spaniel Pillow Cover. Design & Images © Vixen Goods. All rights reserved.